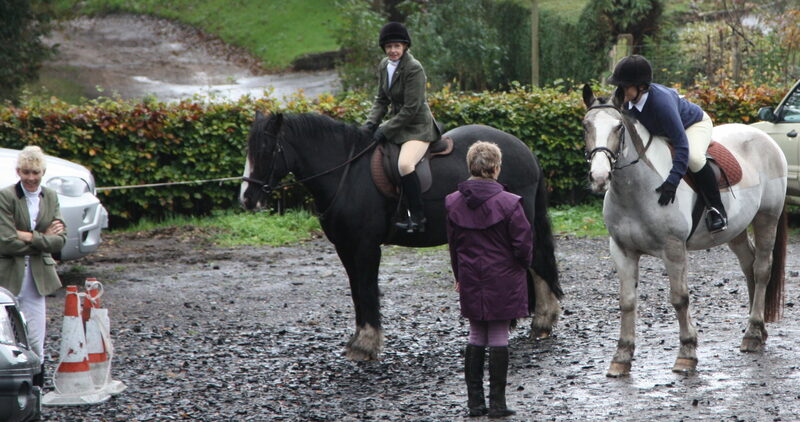 It was a tight squeeze in the yard trying to find all the horses and ponies a dry space but we managed it. 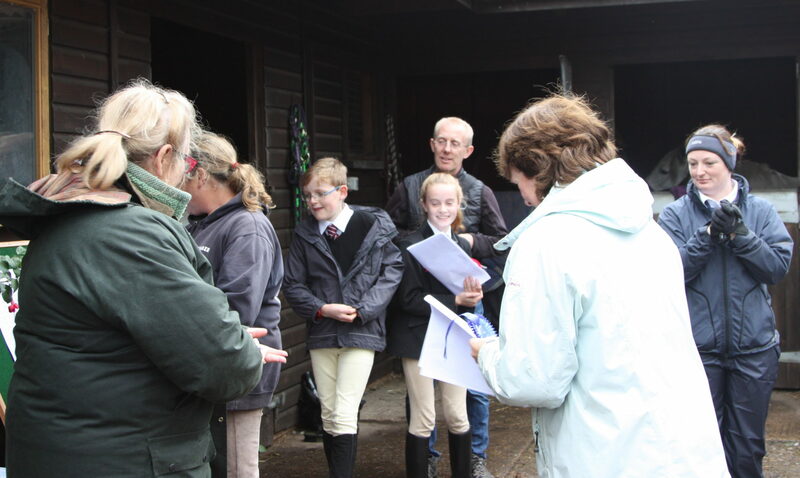 We keep checking the weather forecast and slowly but surely the rain started to ease off and by 10am, just in time for the dressage to start, the rain had stopped. 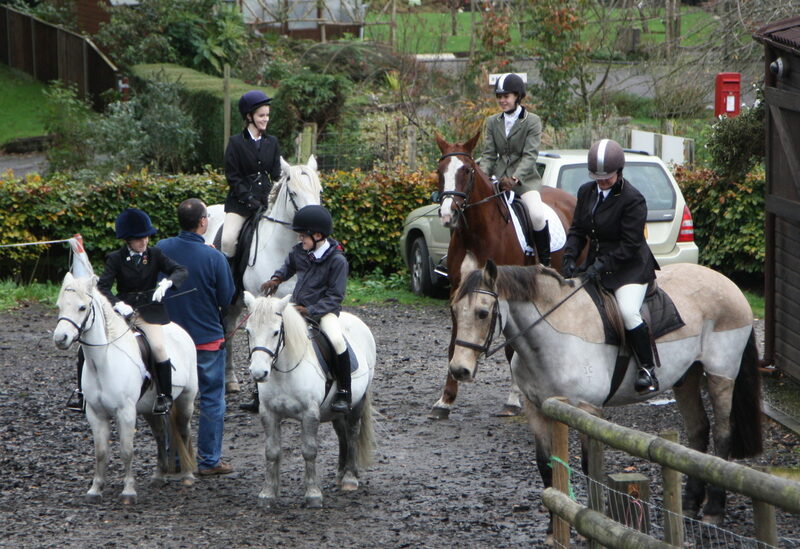 We even had a bit of blue sky and sunshine later on in the day! 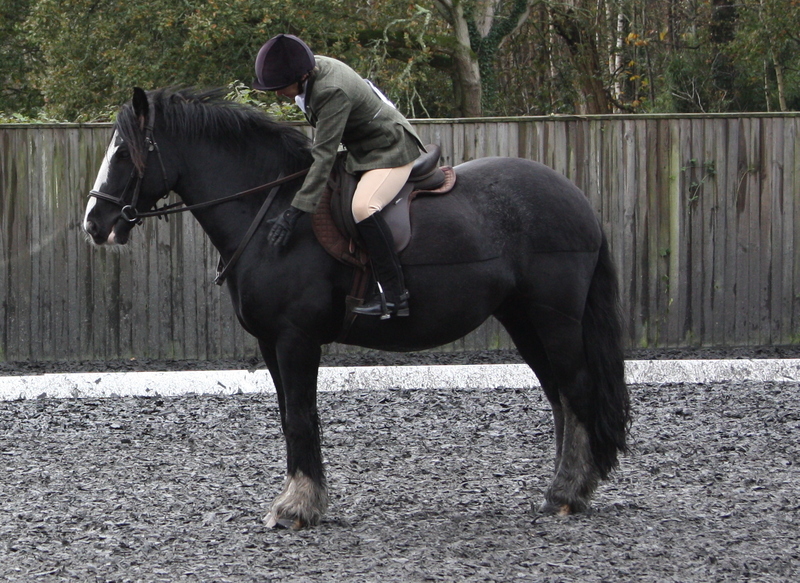 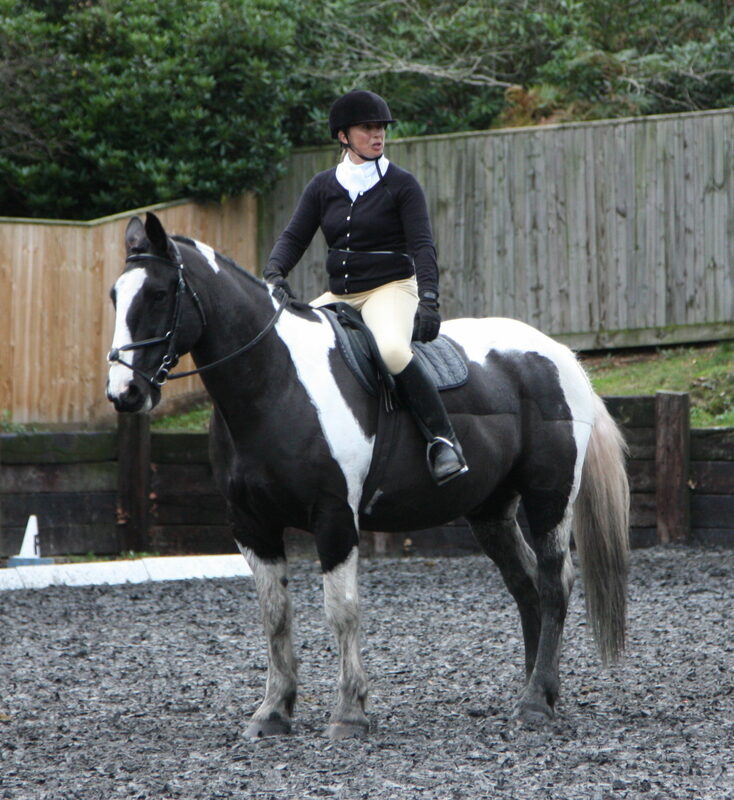 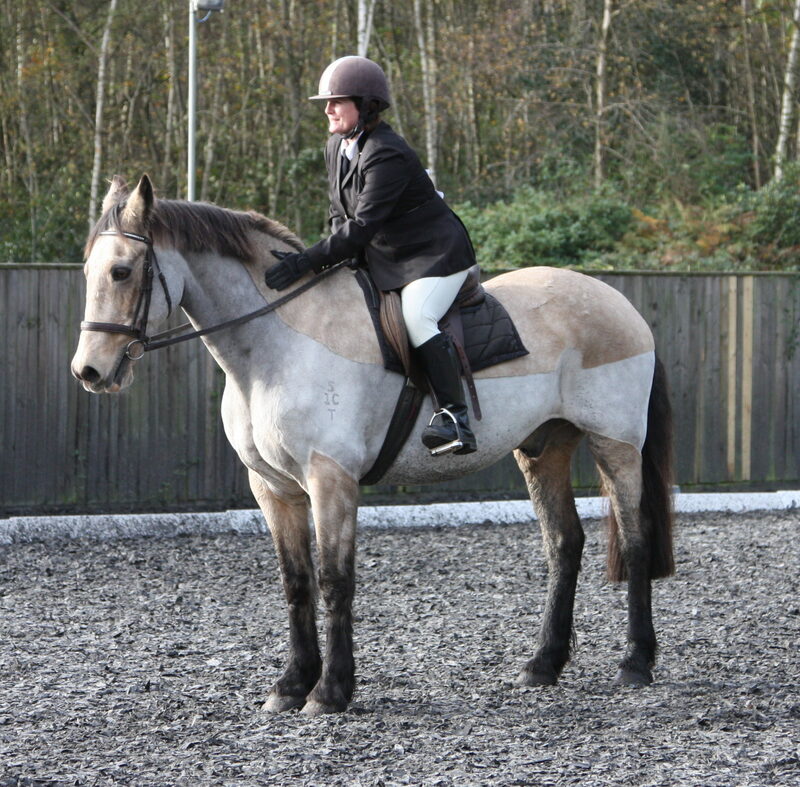 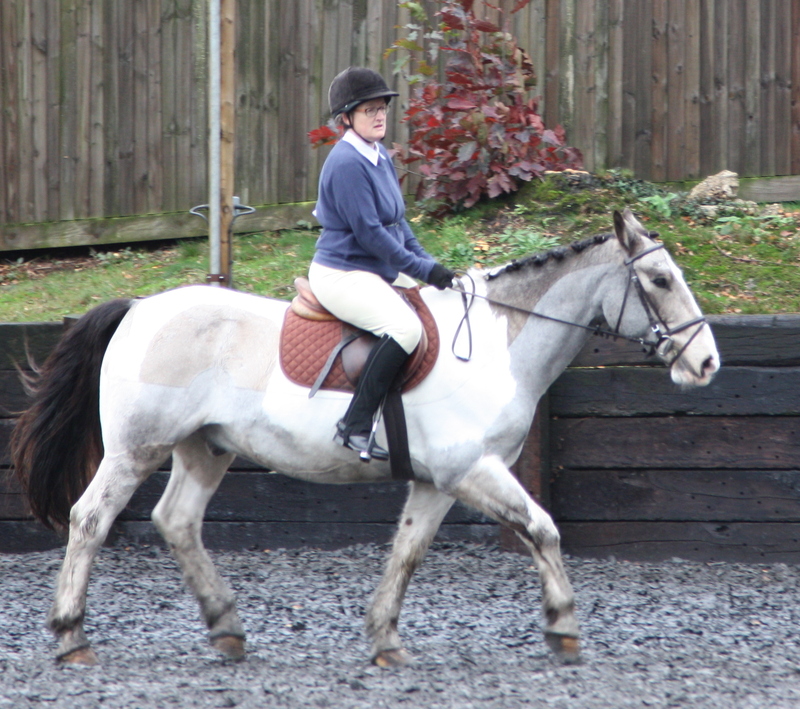 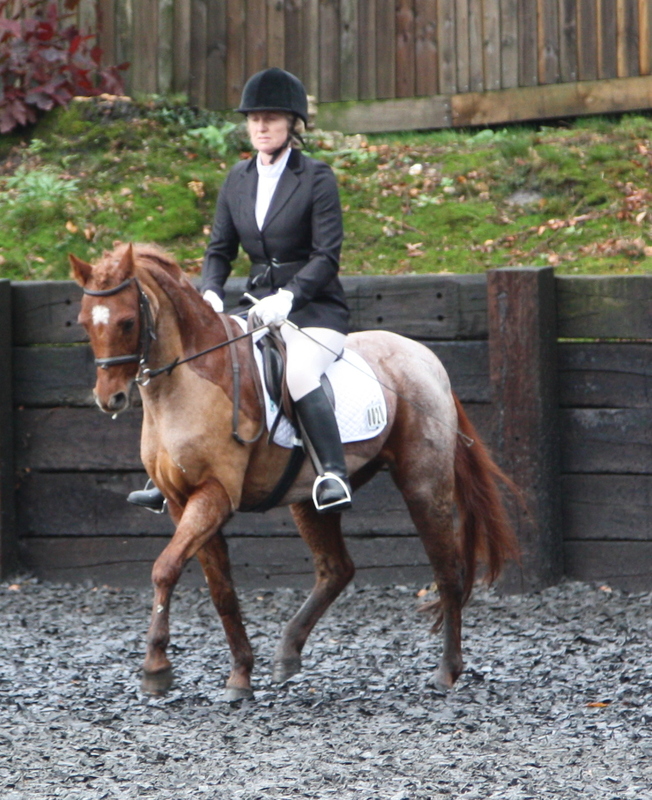 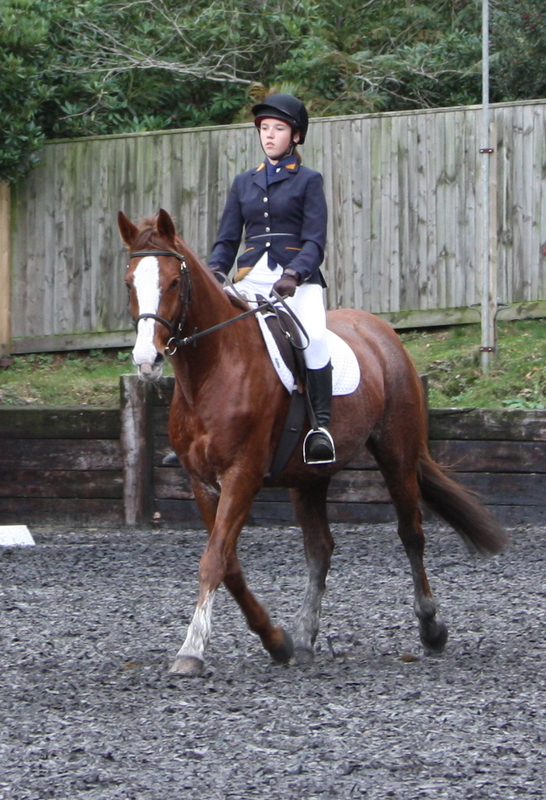 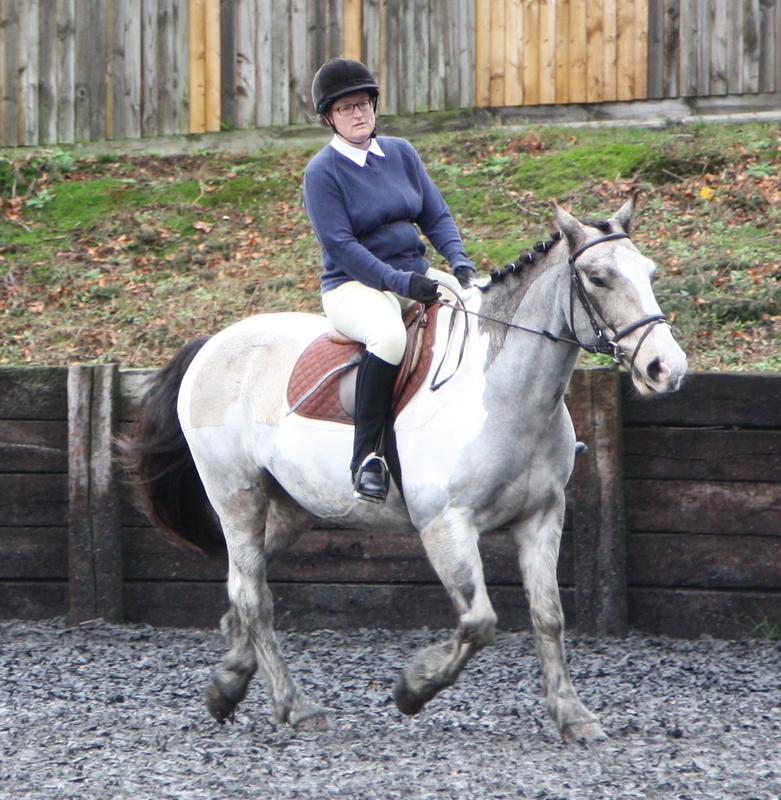 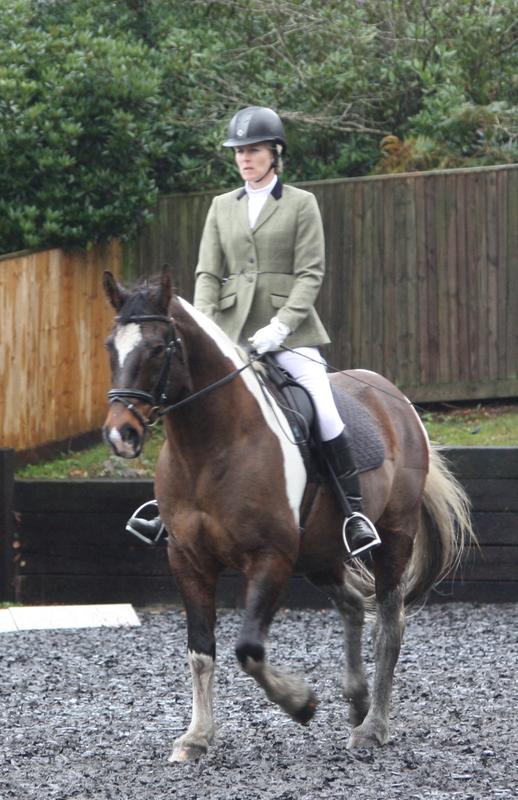 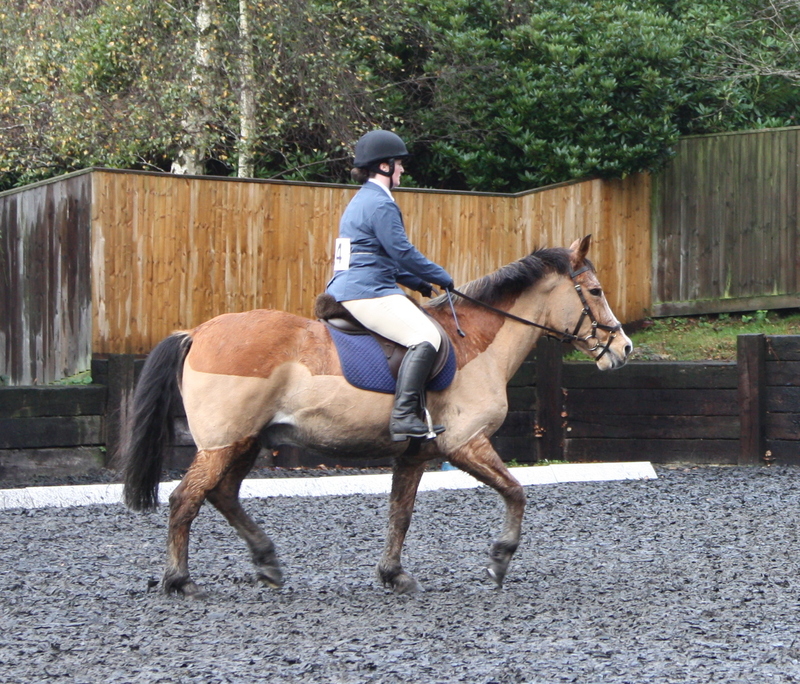 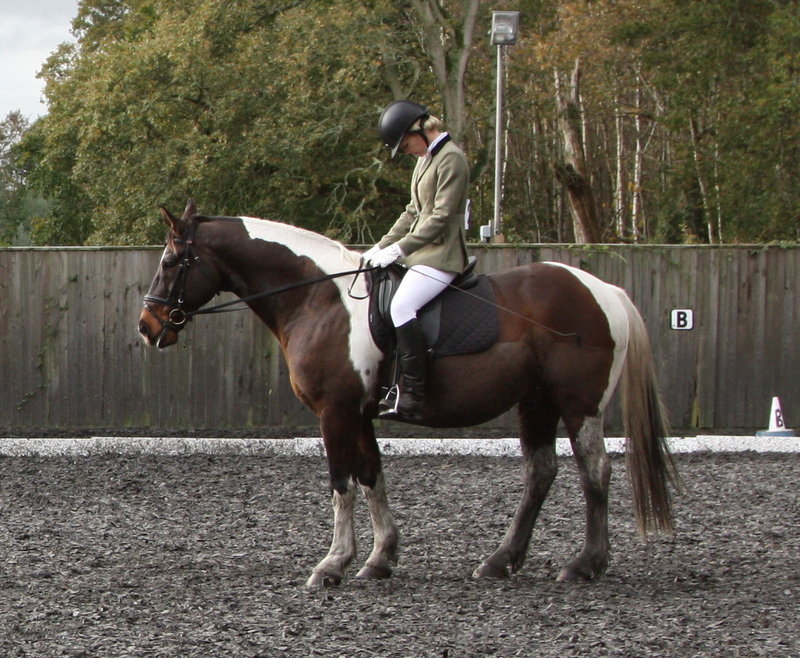 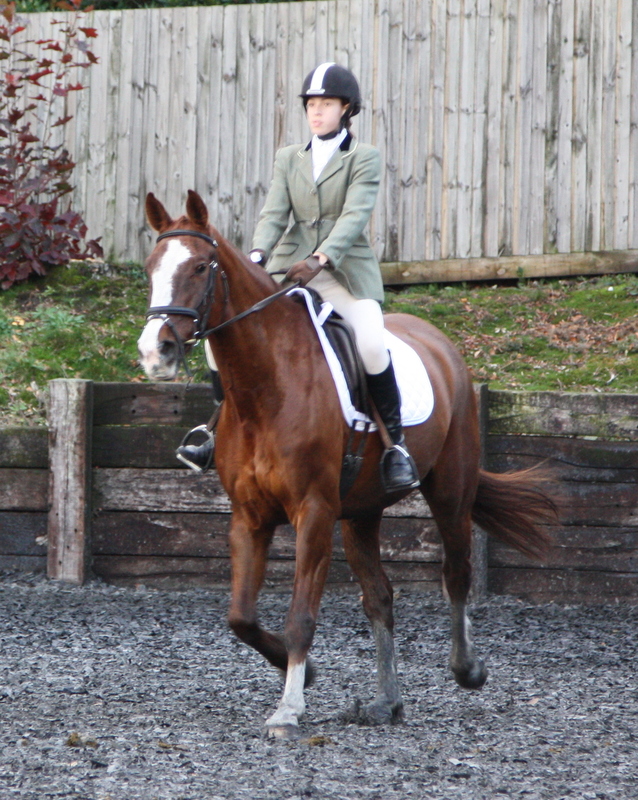 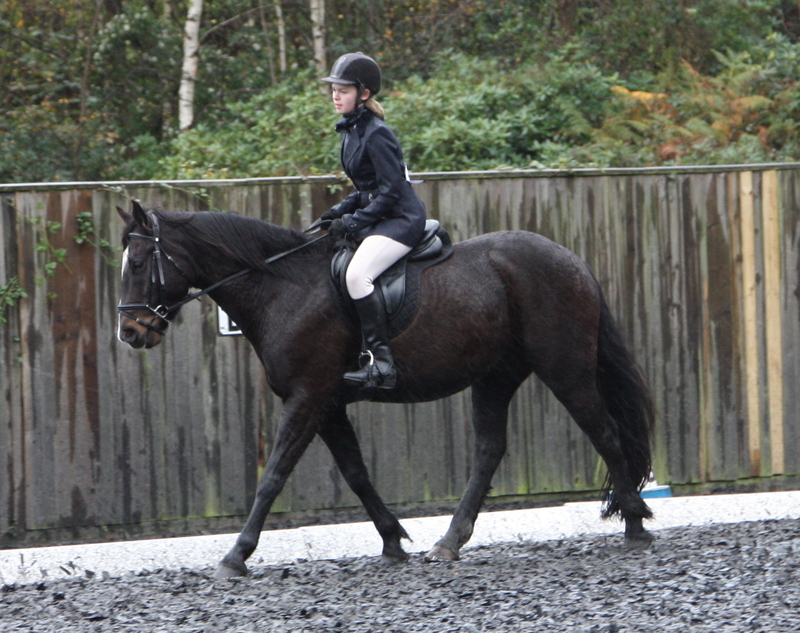 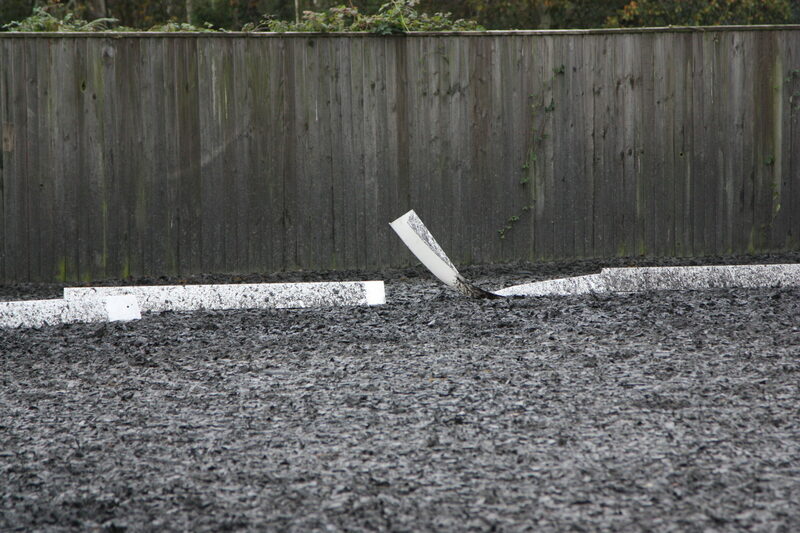 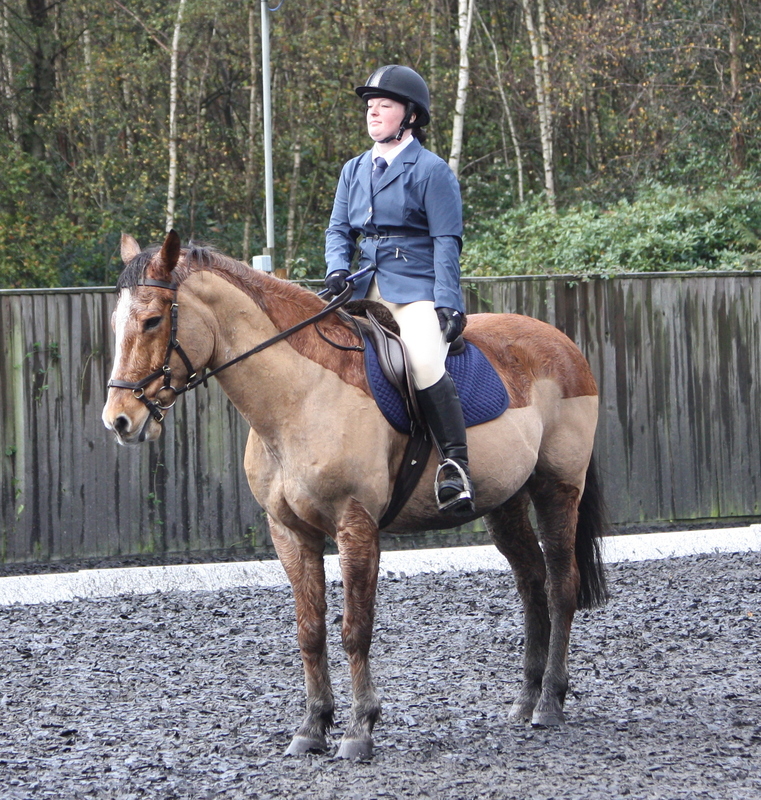 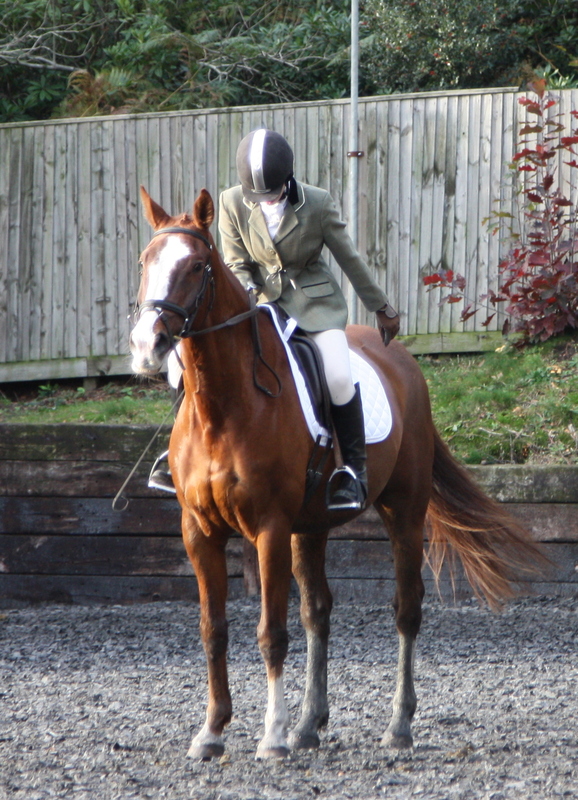 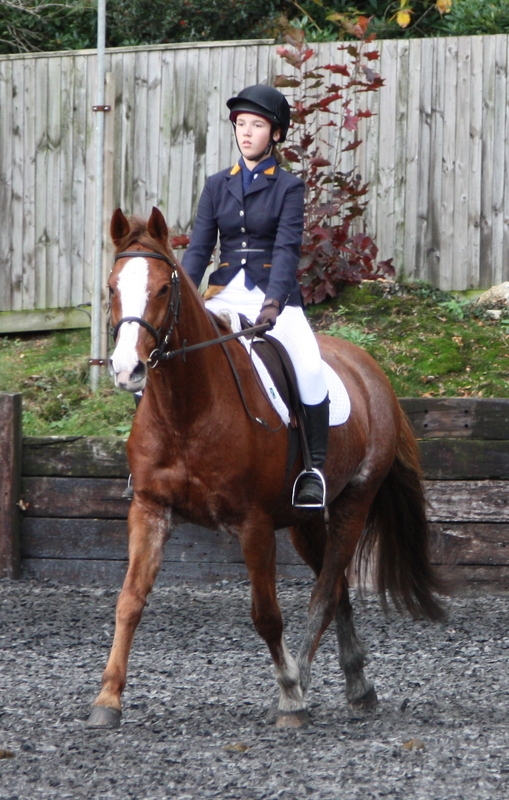 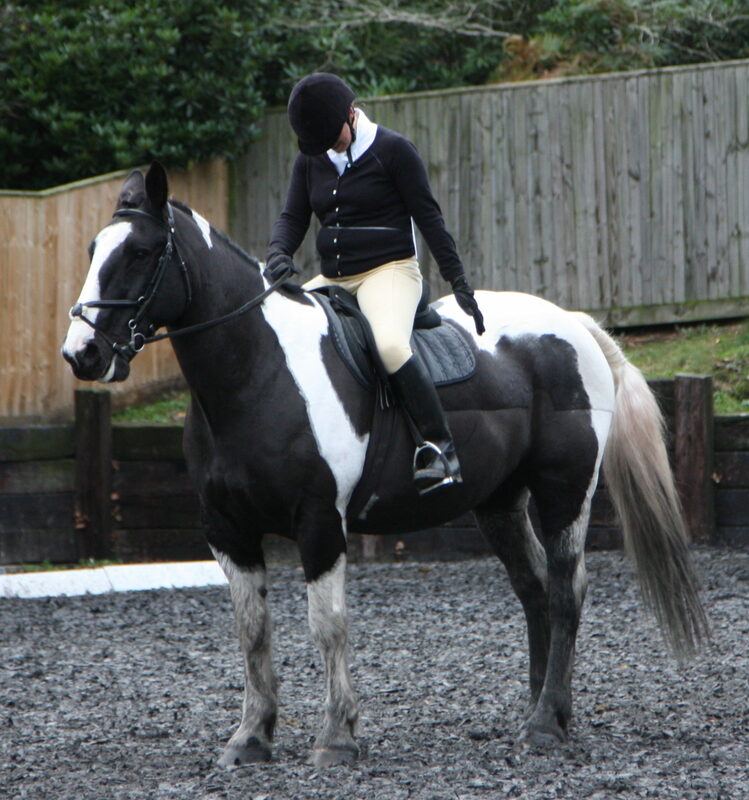 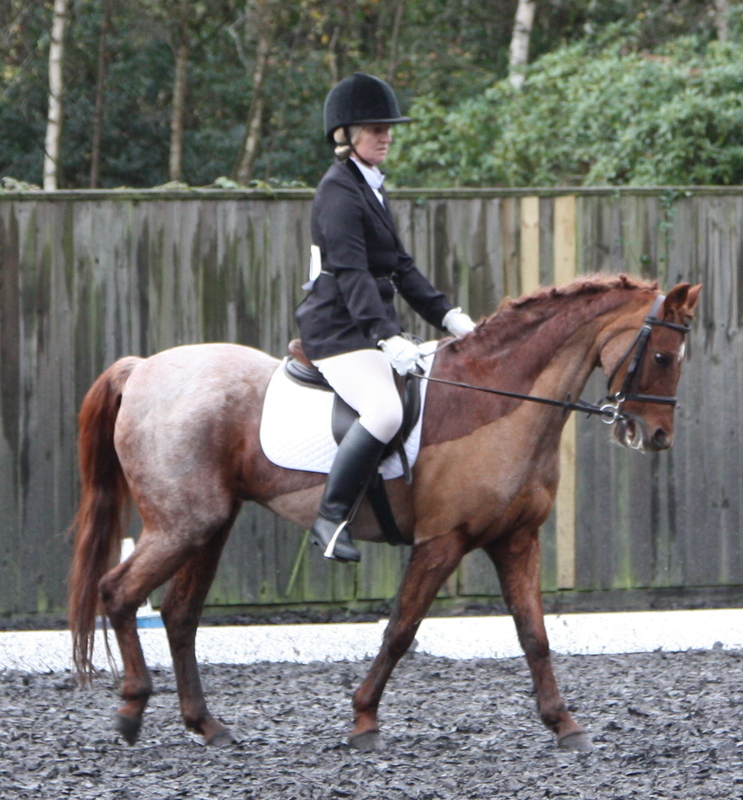 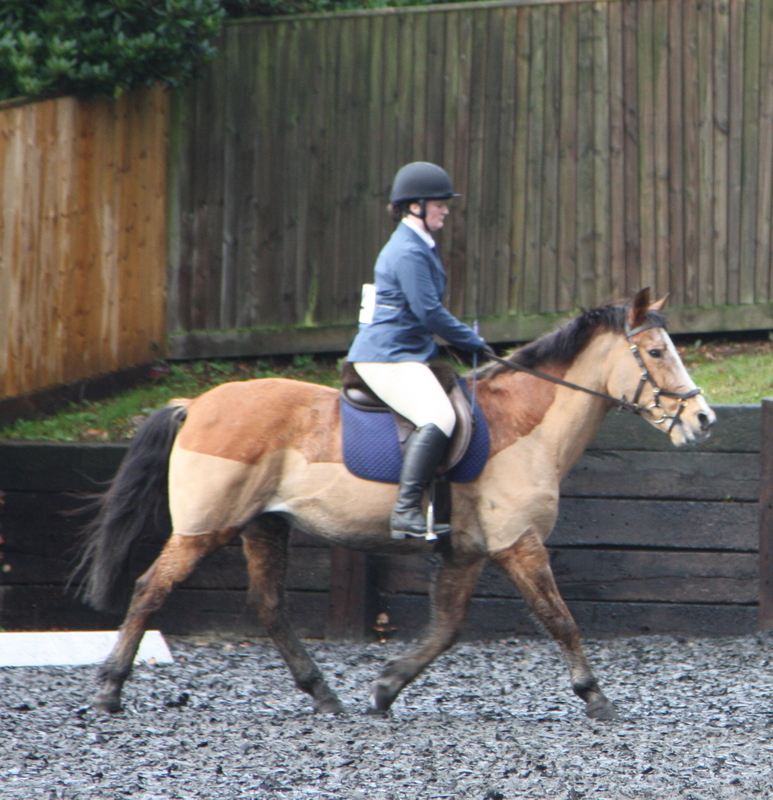 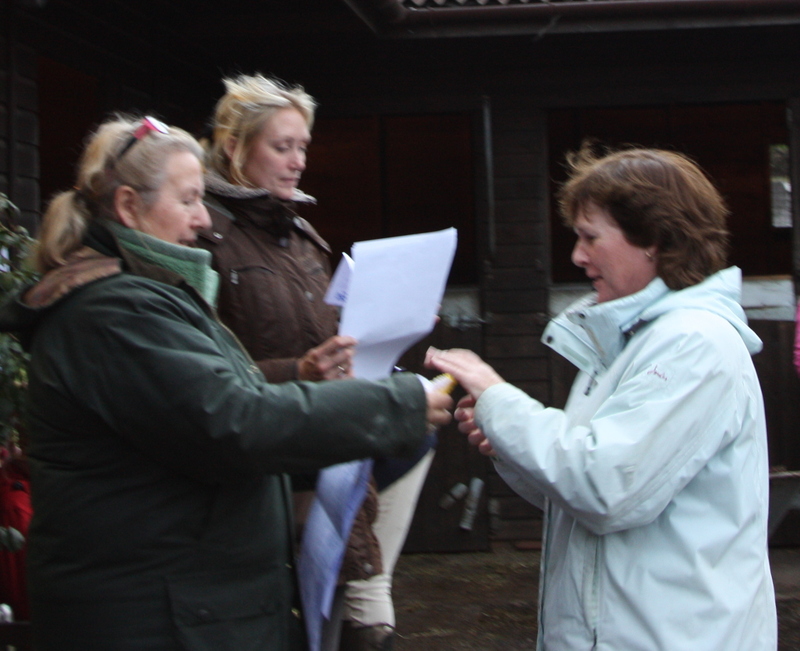 We welcomed Jill Thomas to the yard – our dressage judge. 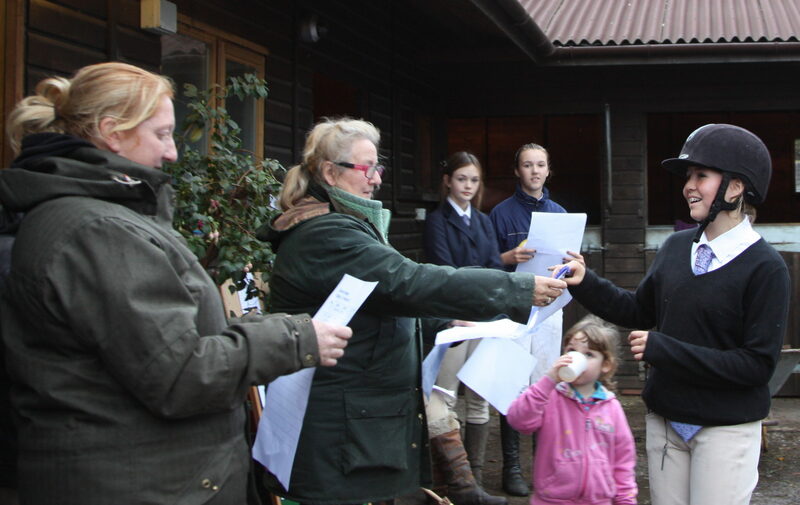 We had three classes taking place. 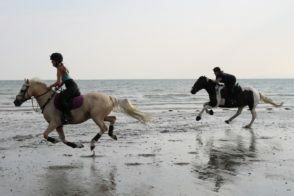 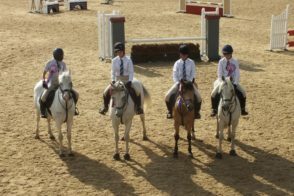 The first class was Intro A with 15 competitors. 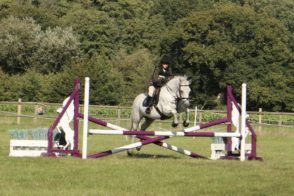 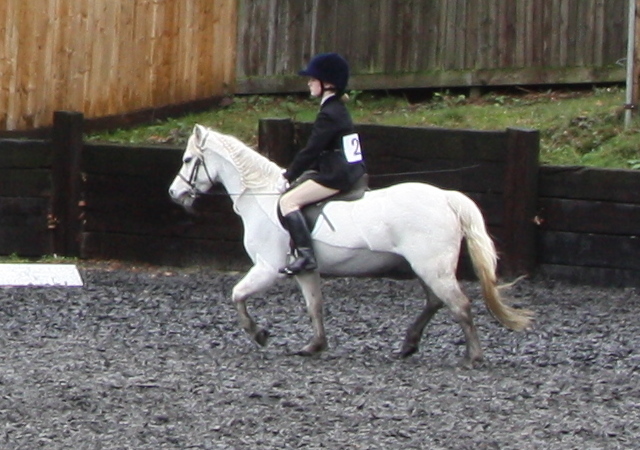 Class 2 was Prelim 4 and again with 15 competitors and Class 3 was Prelim 18 with only 5 taking part. 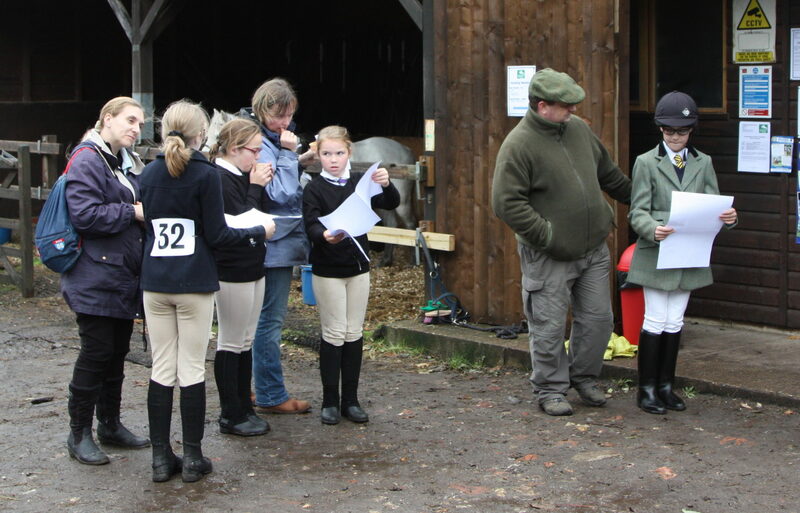 Between Debbie, Rachel and Jules we read out most of the tests for the competitors although a few brave competitors had learnt the tests and didn’t need readers. 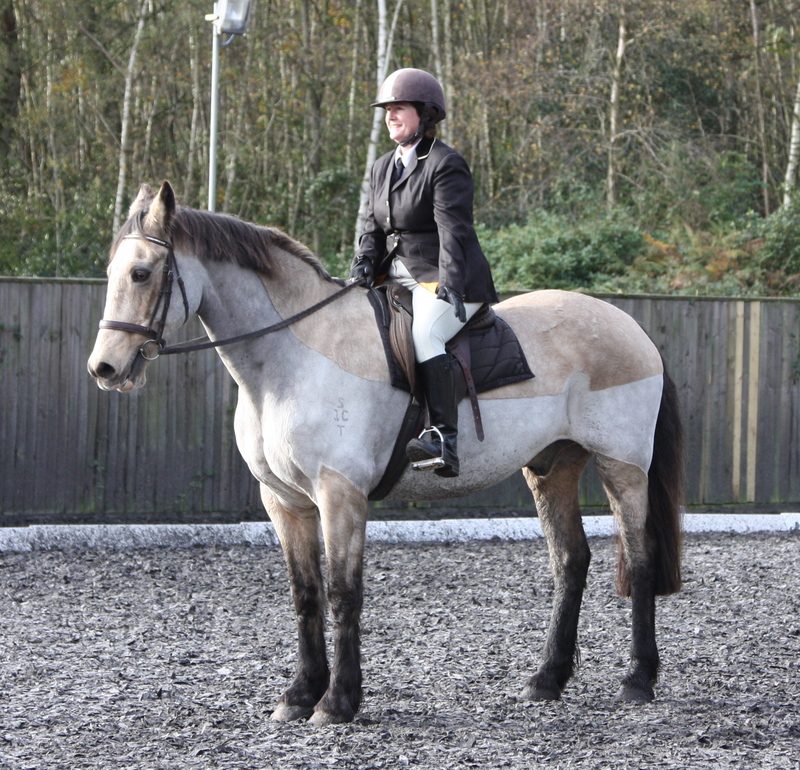 Once again everyone looked so smart and had made a real effort with their appearance and their horse/pony’s appearance too. 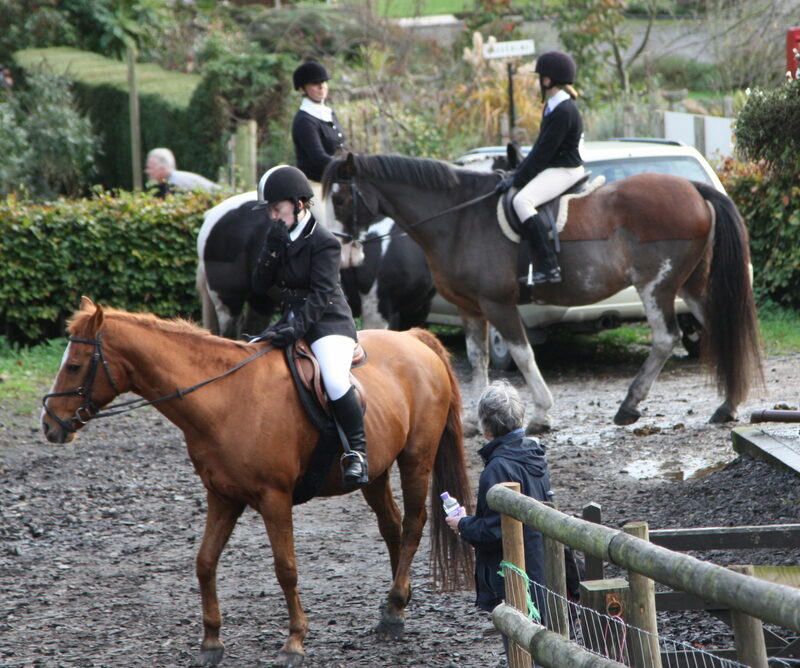 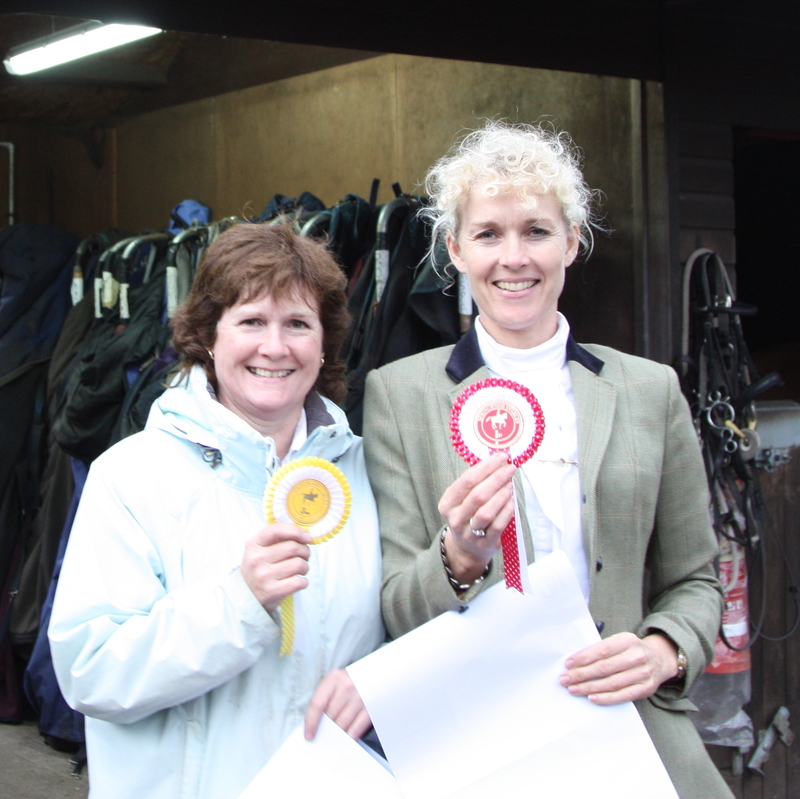 We were very proud of the competitors and our horses/ponies. 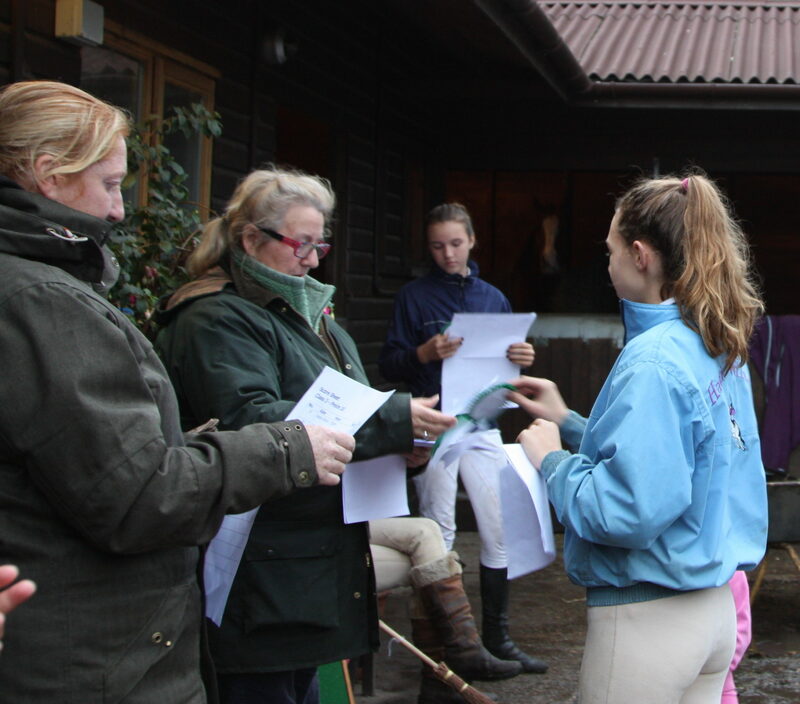 After the first class Jill presented rosettes to the riders that were placed (see results table below) and handed out score sheets. 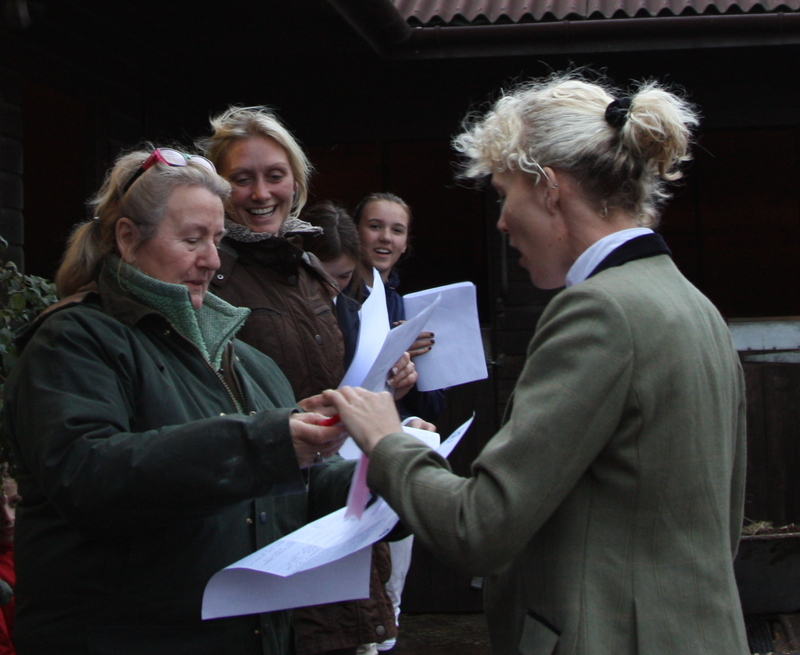 After a short break we returned to the school where Class 2 and 3 took place. 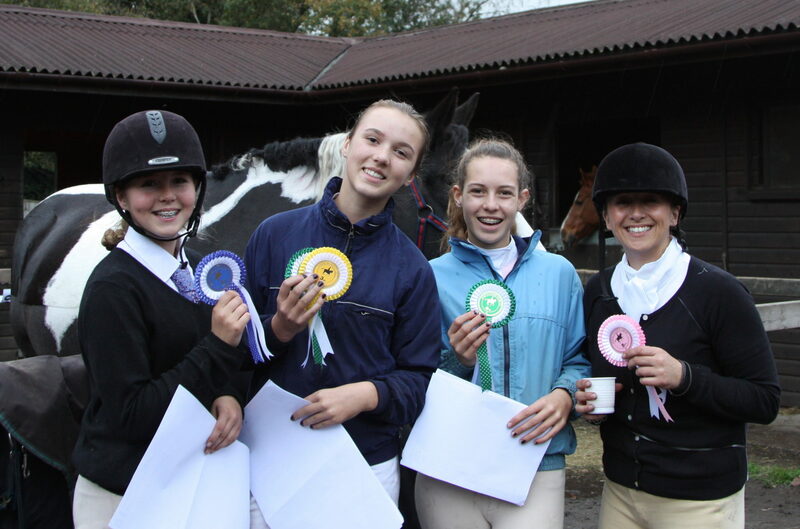 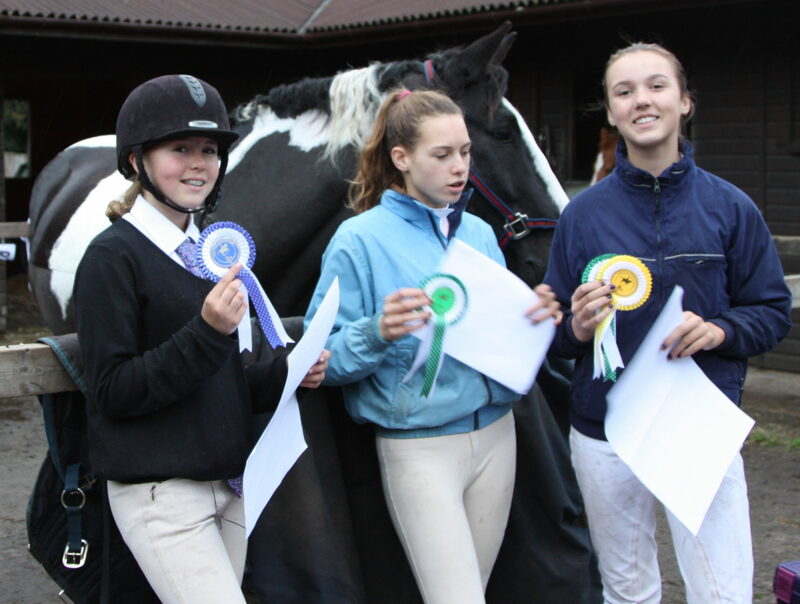 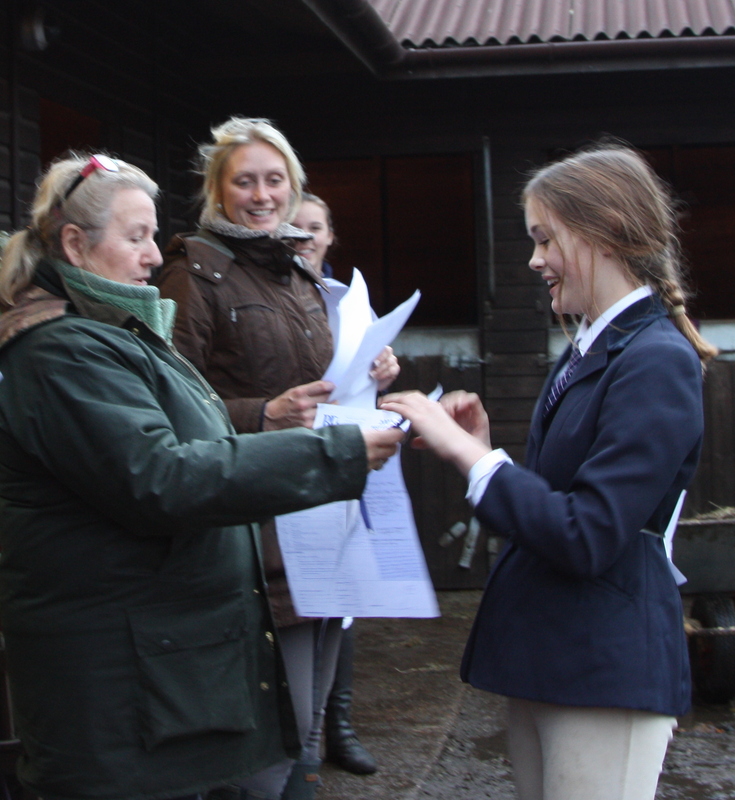 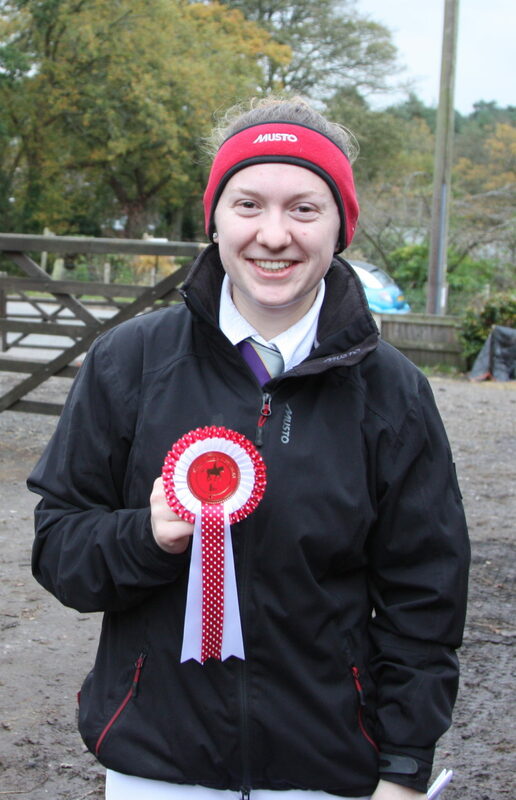 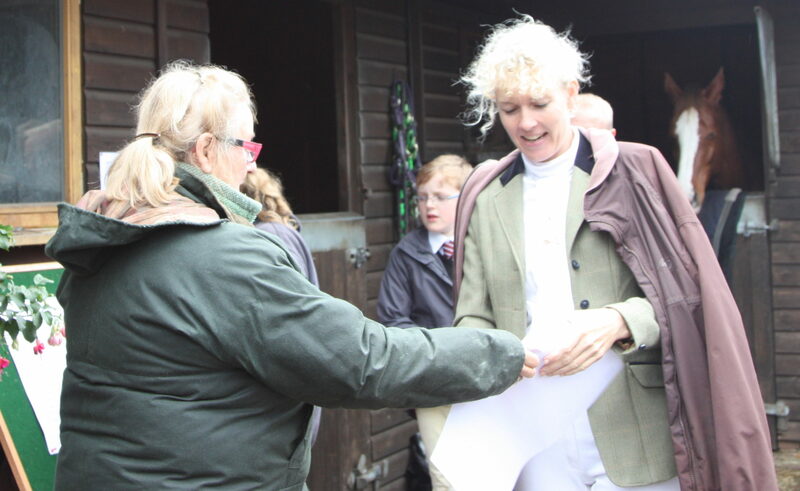 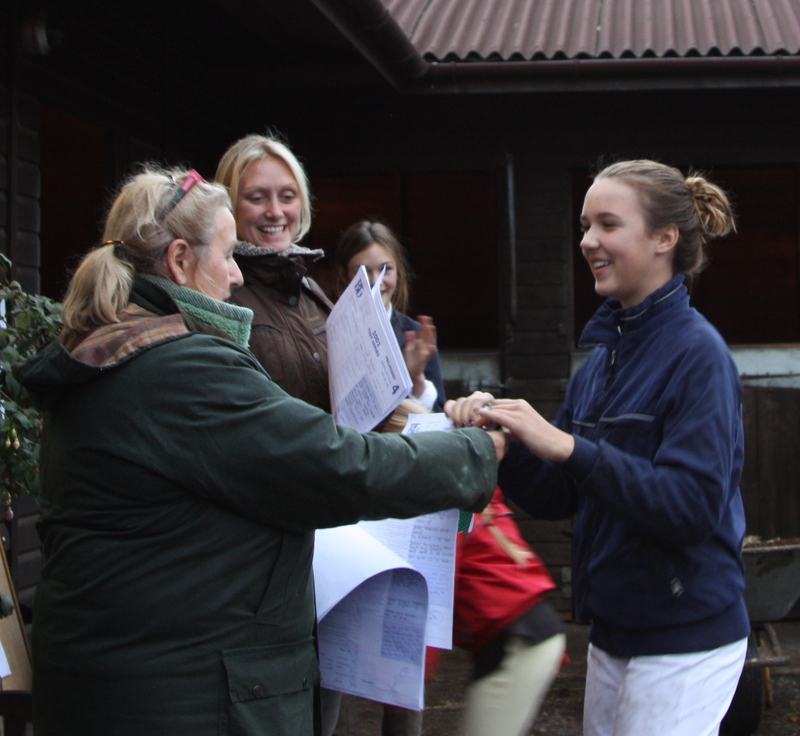 After Class 2 and 3 had finished Jill presented the rosettes to those placed and handed out score sheets to all the competitors. 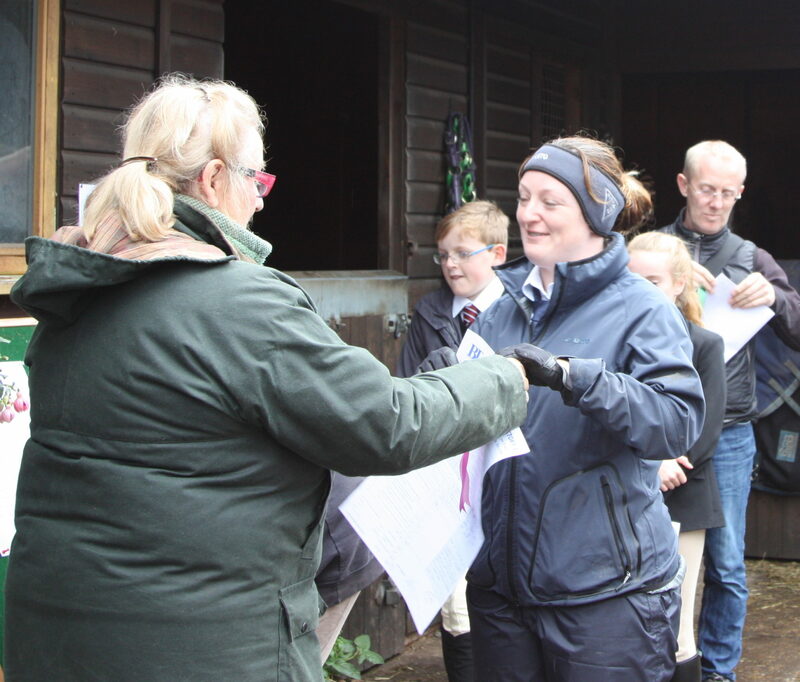 Then Jill held a very useful Question and Answer Session which was very popular with our riders. 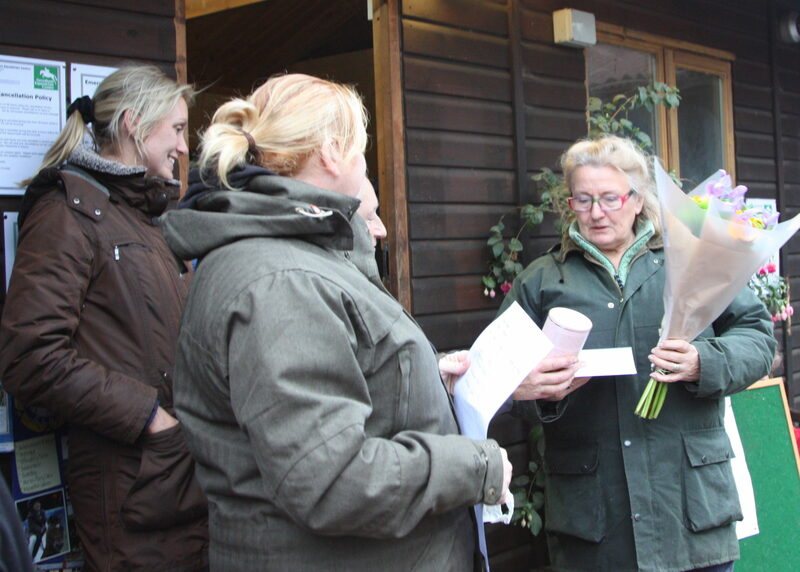 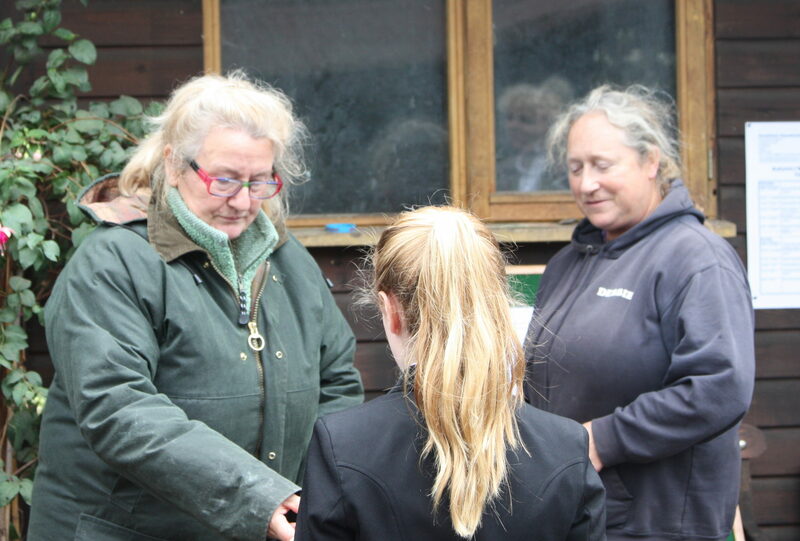 Debbie and Crystal presented Jill with a boutique of flowers and a box of champagne truffles as a thank you for being a very fair, constructive and positive dressage judge. 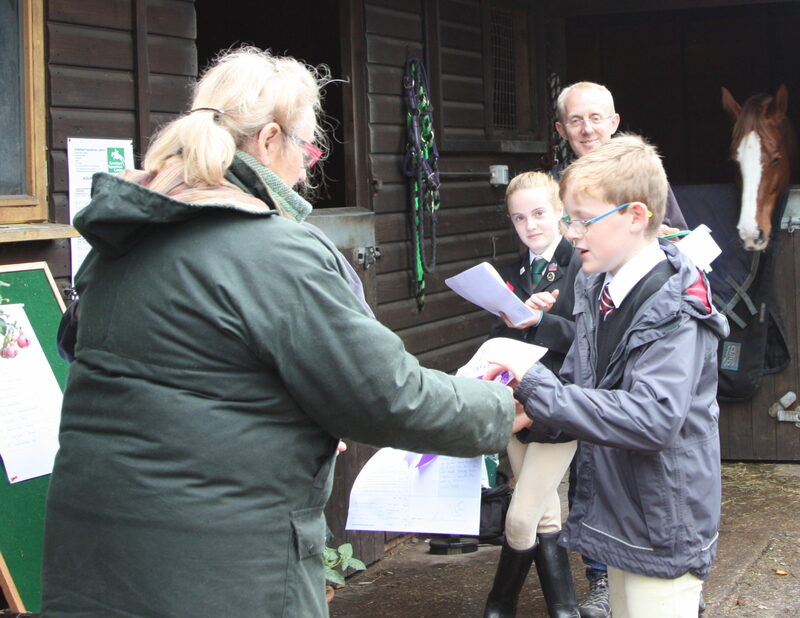 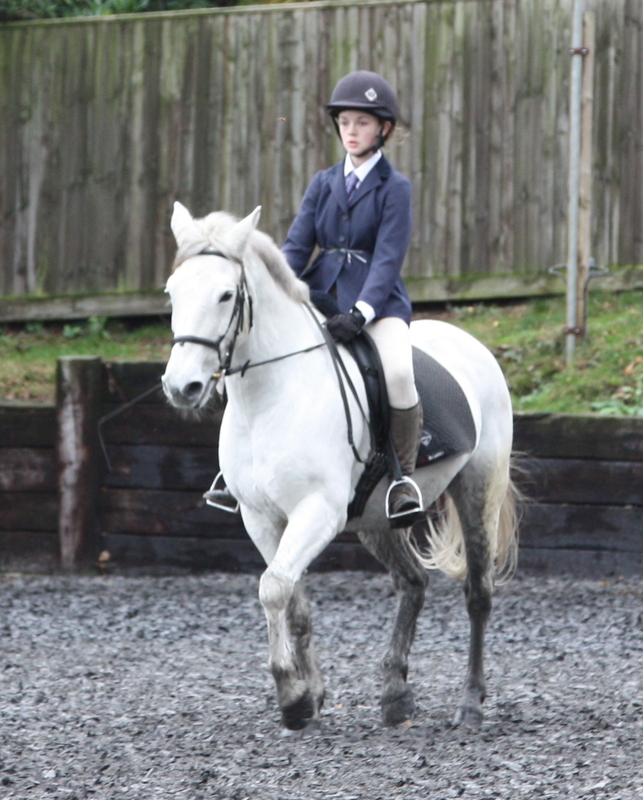 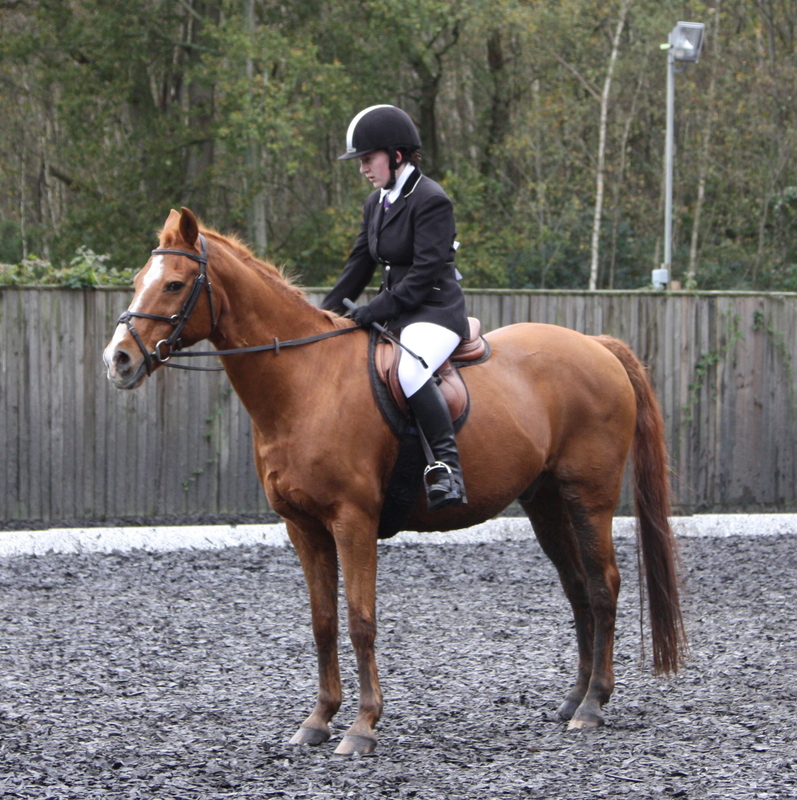 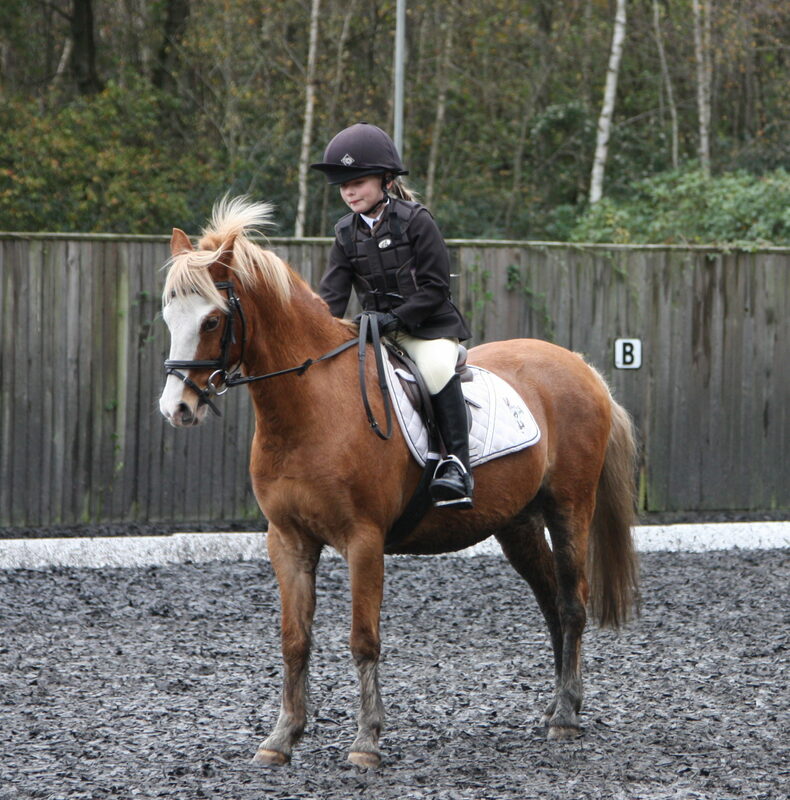 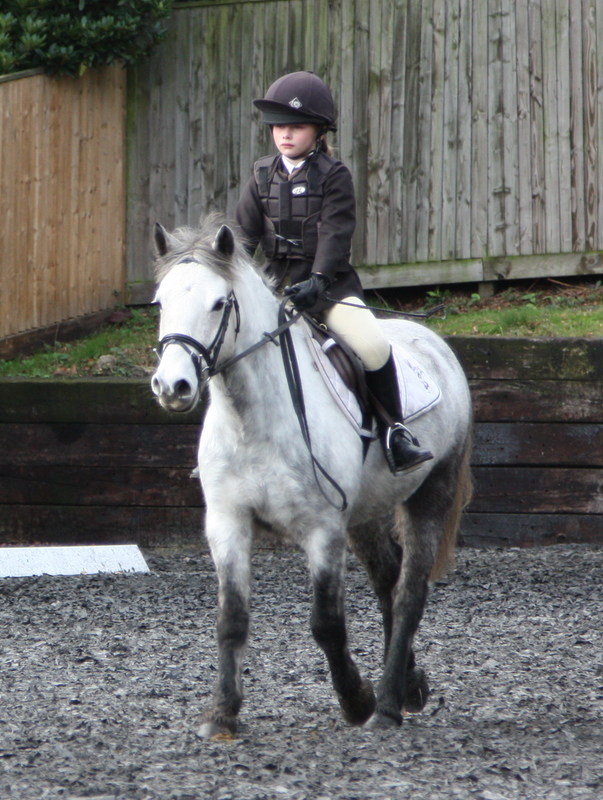 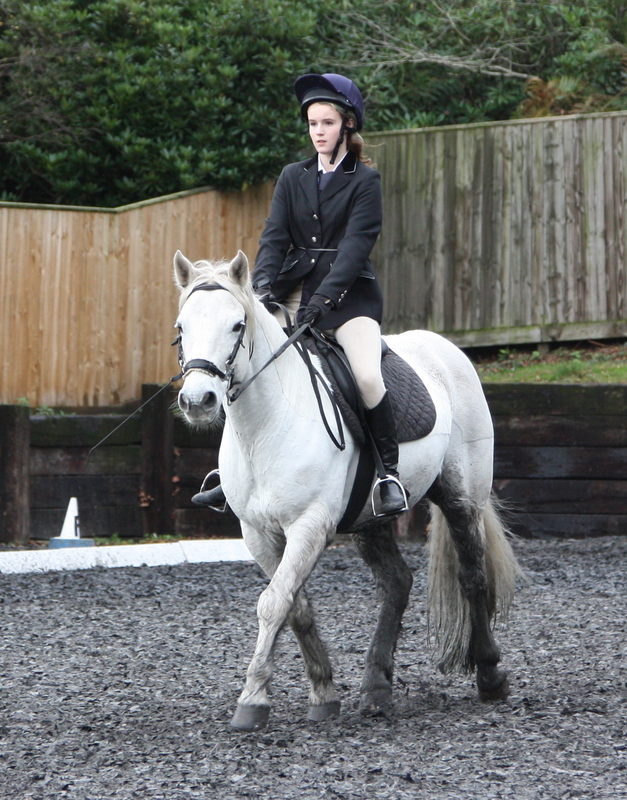 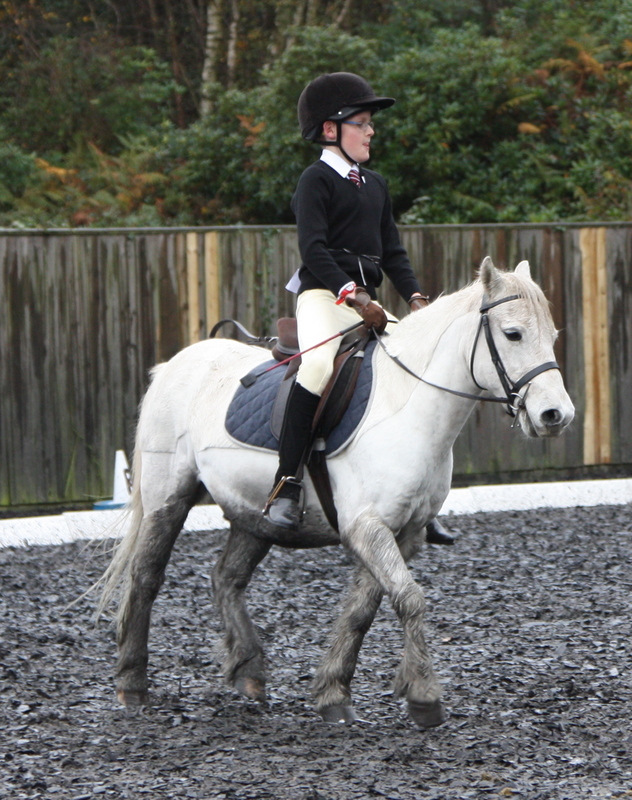 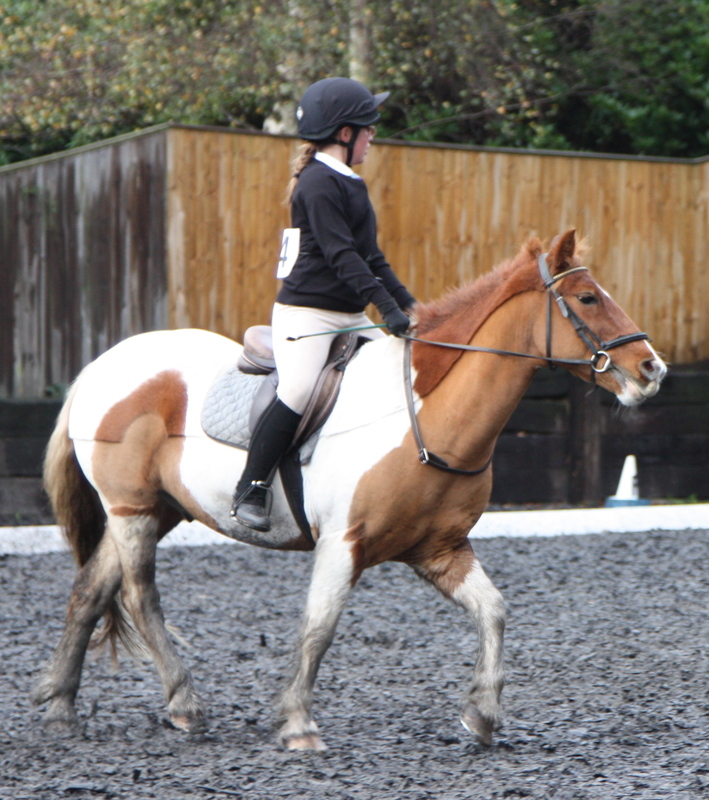 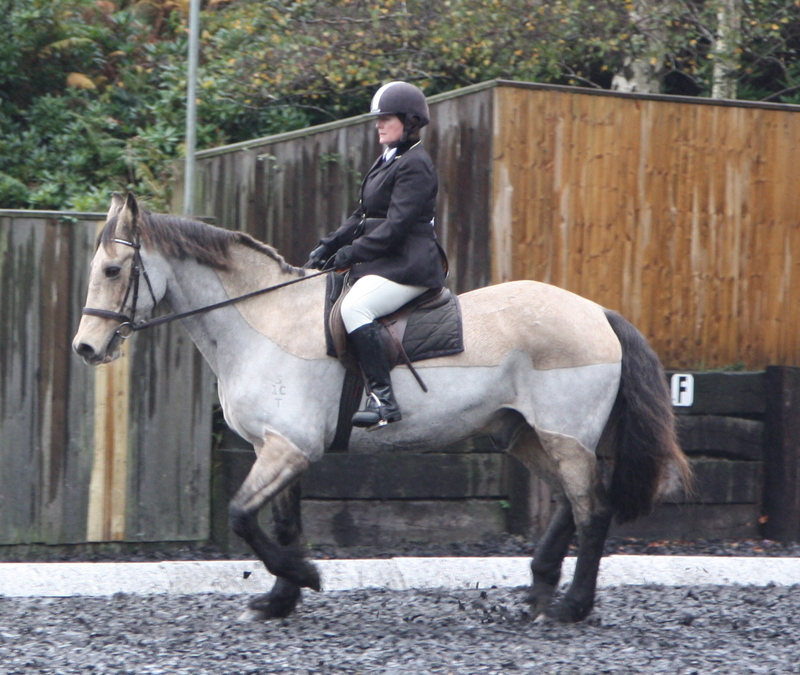 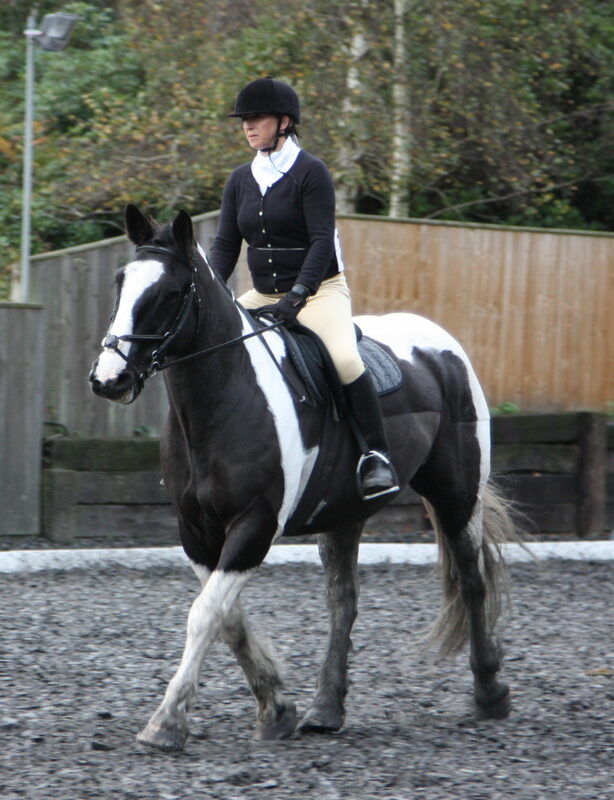 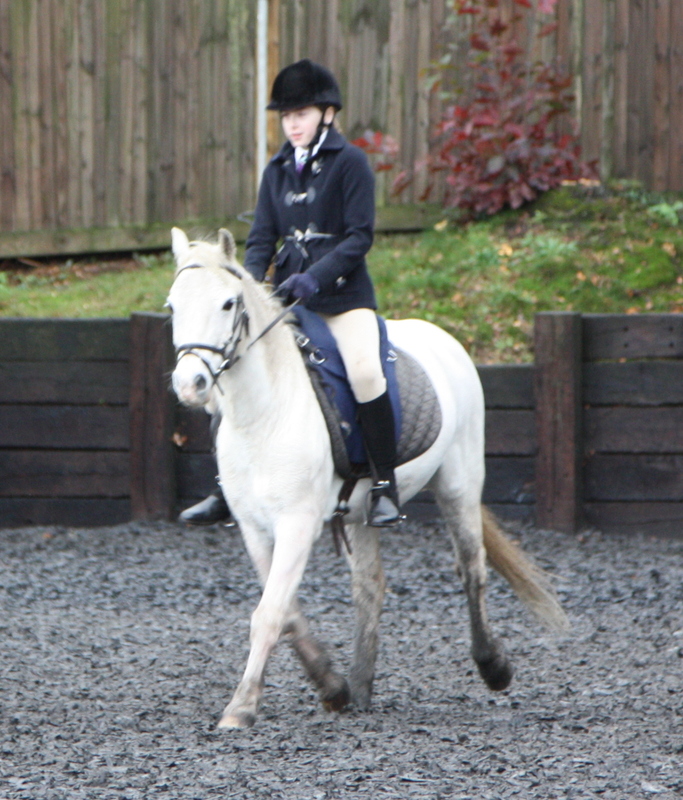 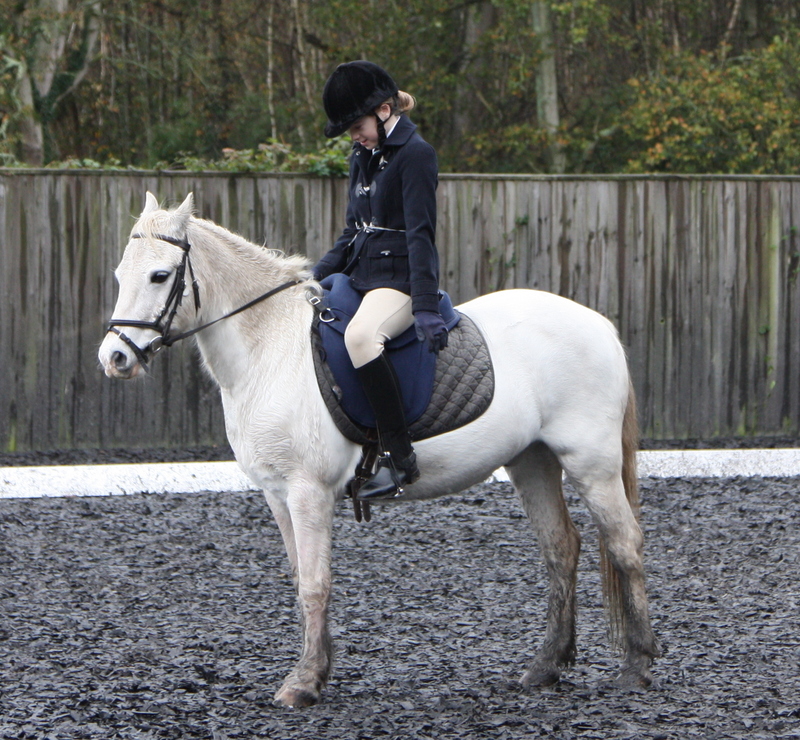 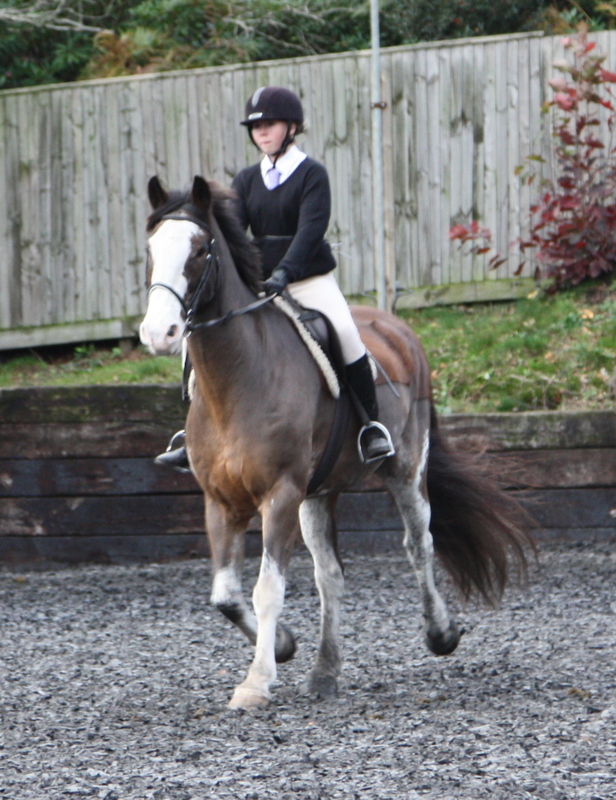 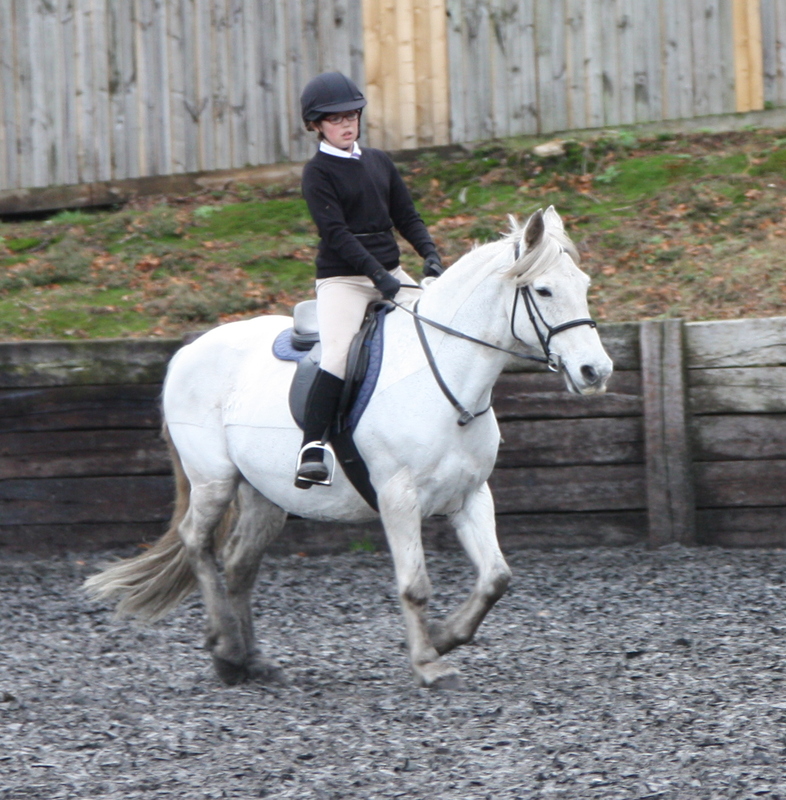 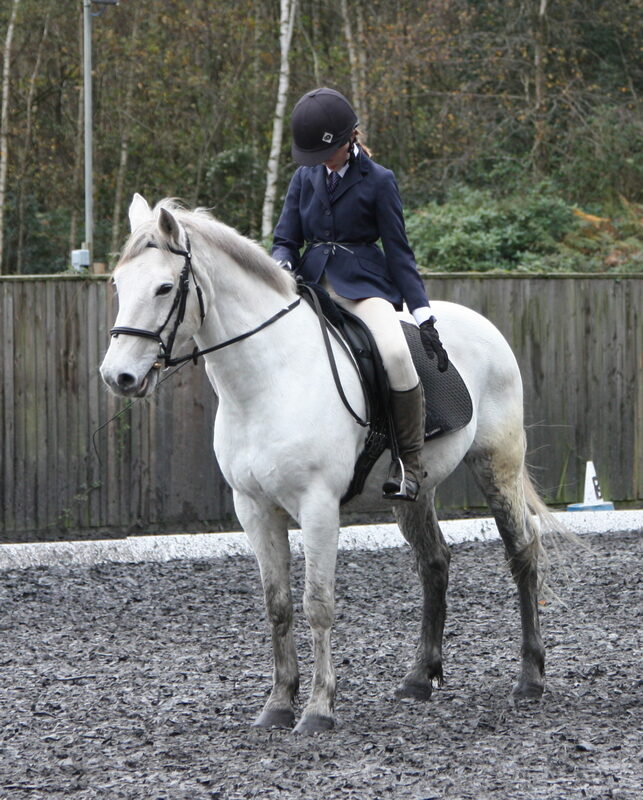 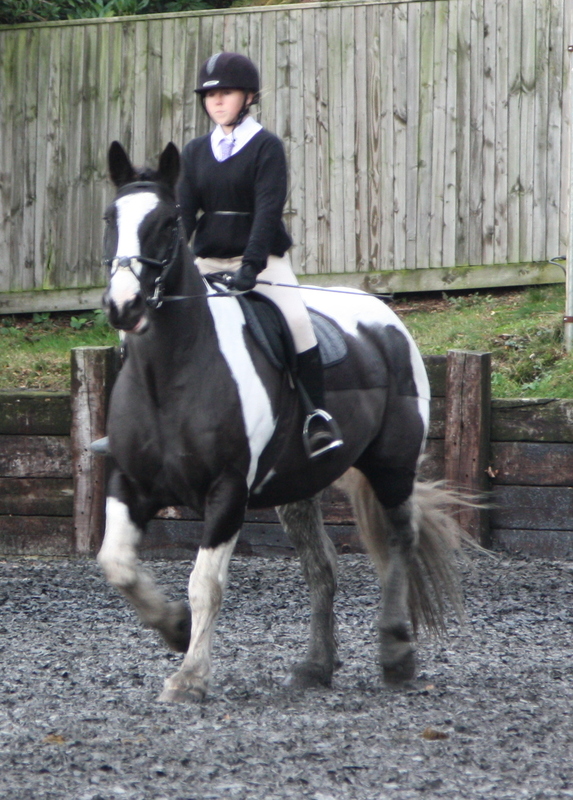 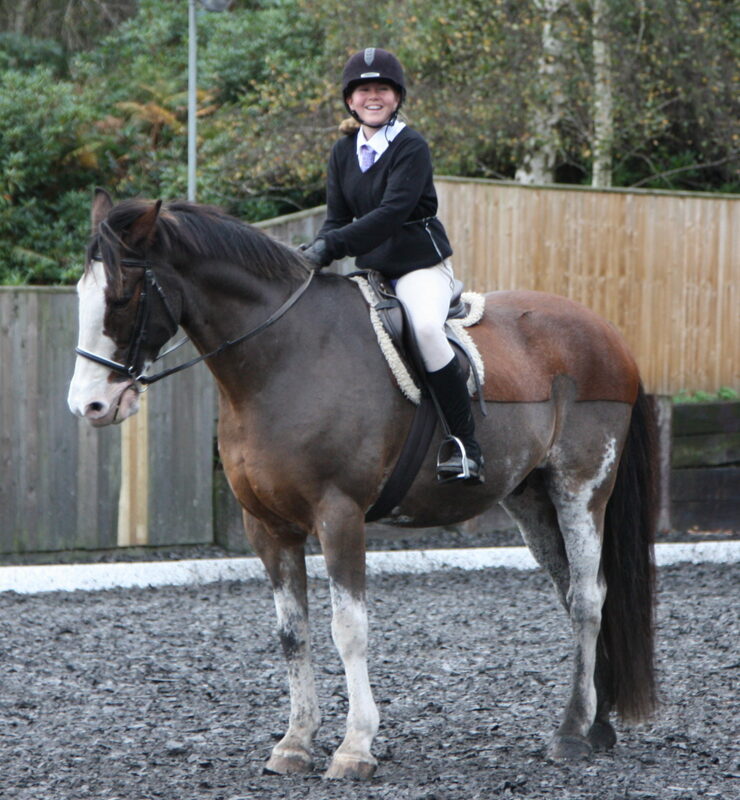 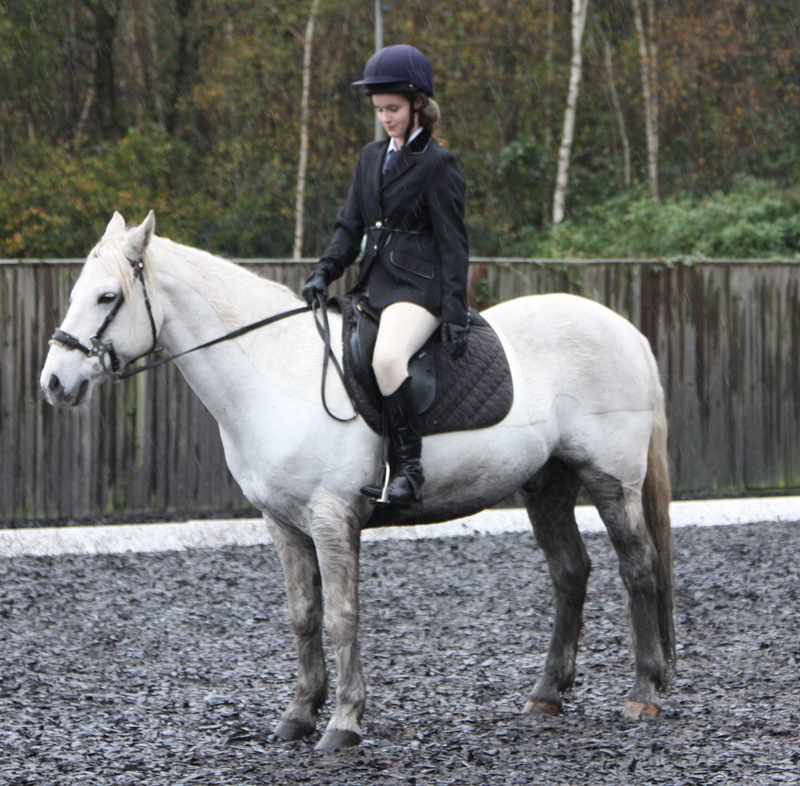 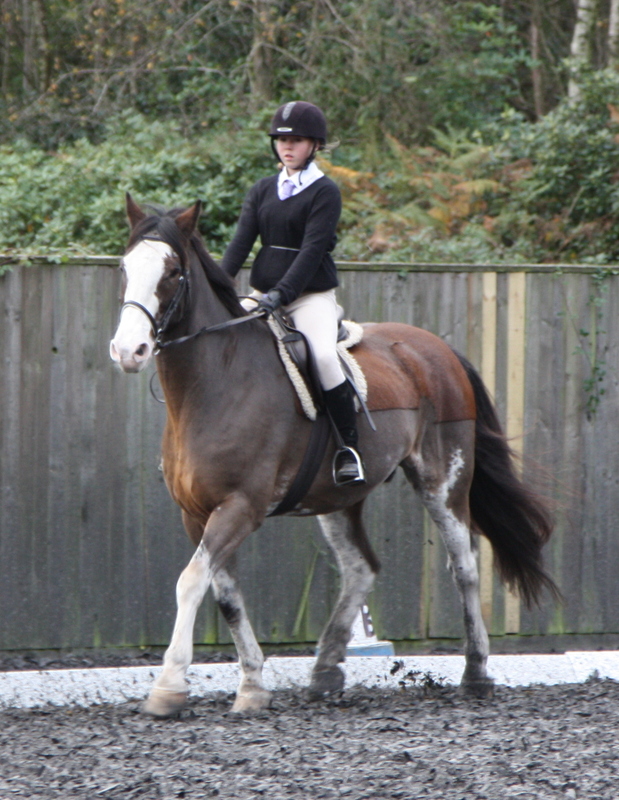 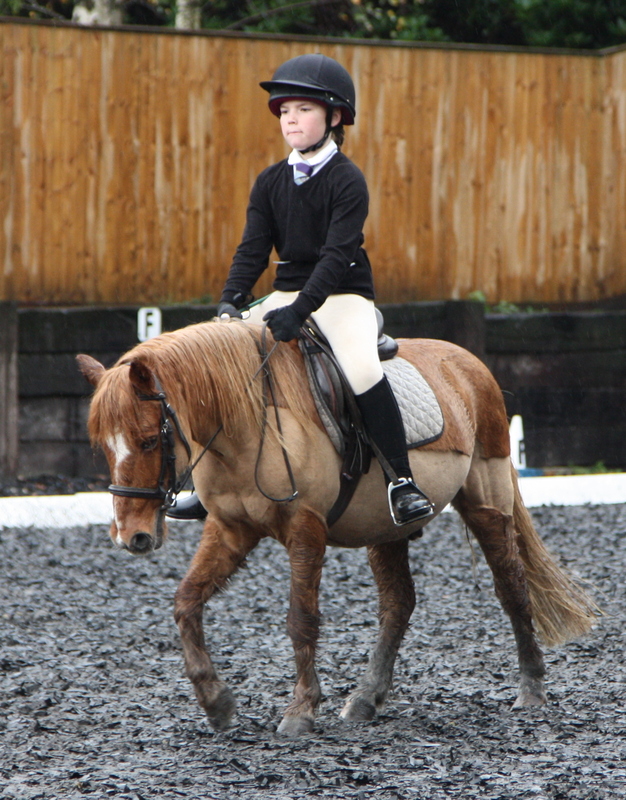 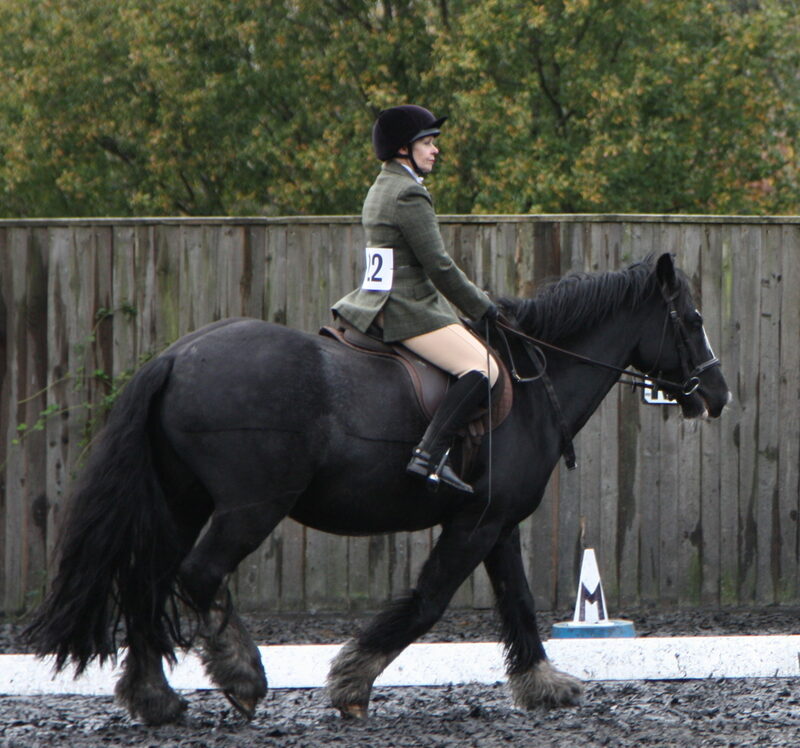 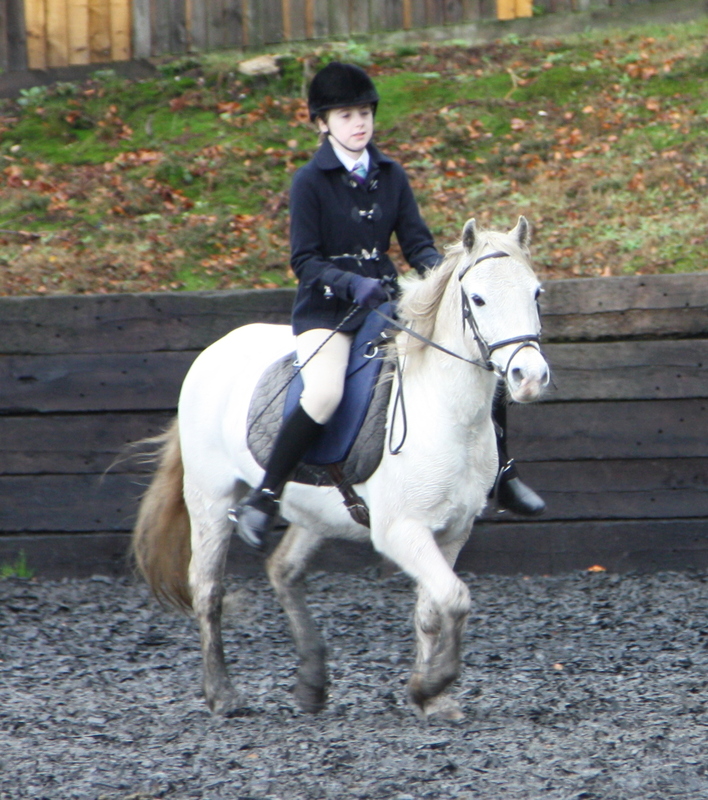 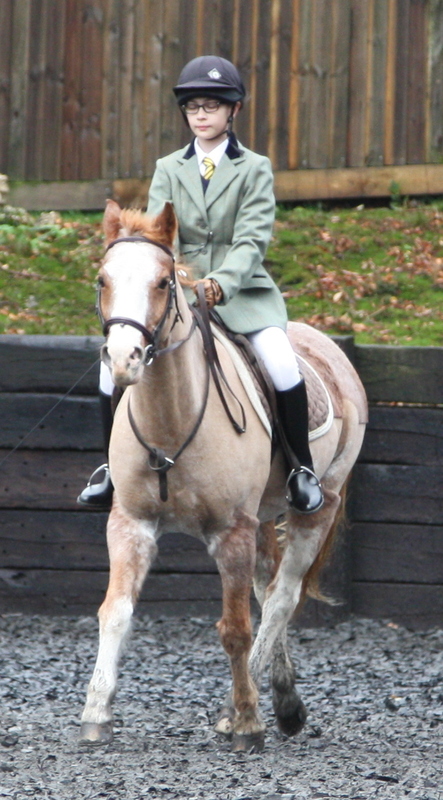 We would like to say a huge ’Thank You’ to all our riders for braving the weather, looking so smart, riding so well and taking part in our dressage event.